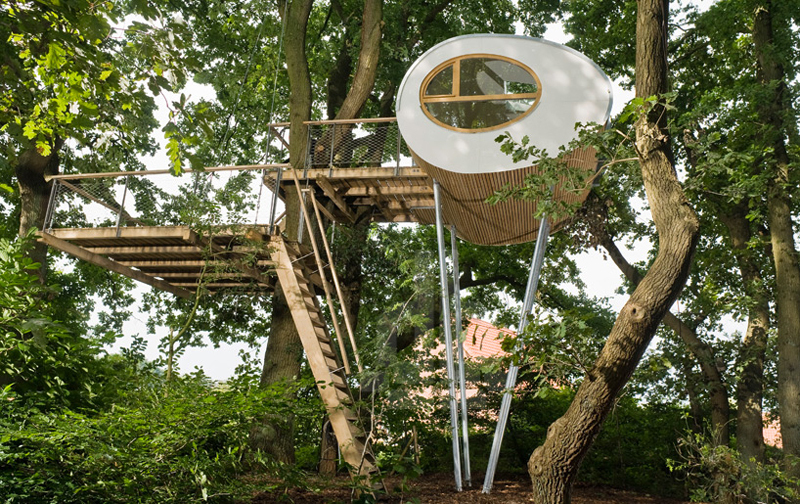 To serve as a comfortable escape for a family on a wooded property in northern Germany, Baumraum have completed the “Treehouse djuren” around two large oaks. 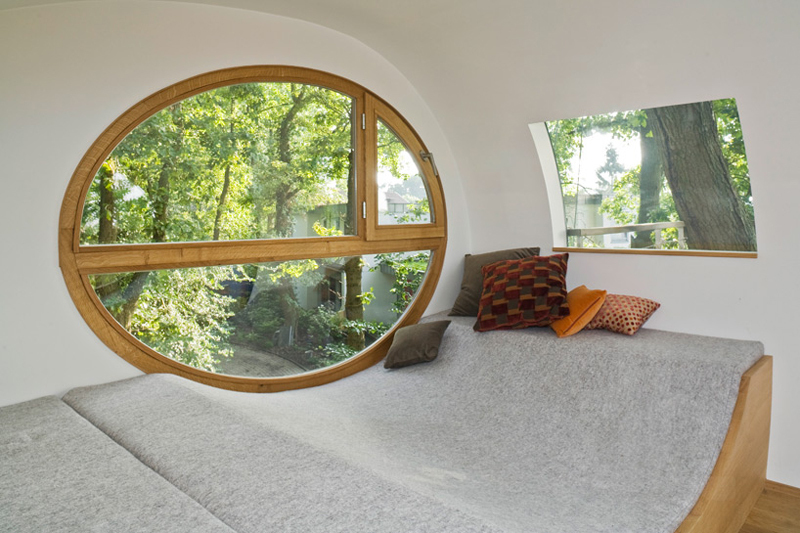 The structure is characterized by its egg-shaped profile, which is accentuated by elliptical windows and glossy white façade finish. 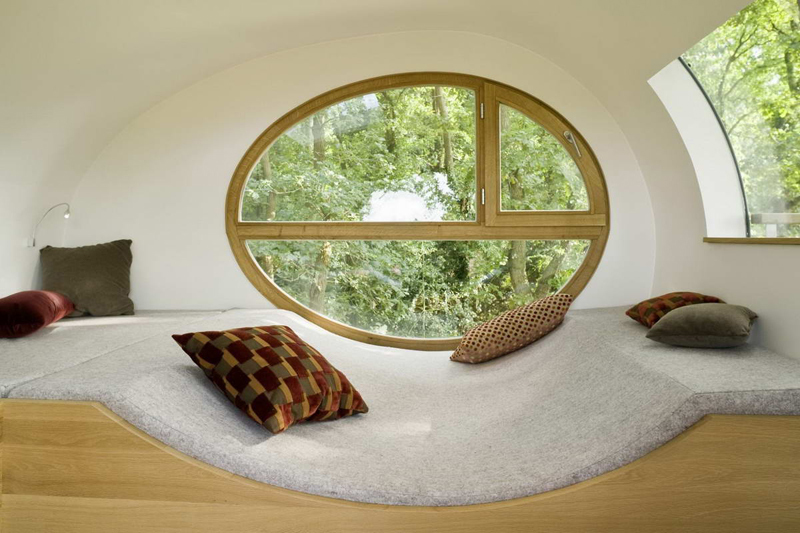 The interior space is comprised of sleeping benches covered in gray felt, and provides many views to the forested context. 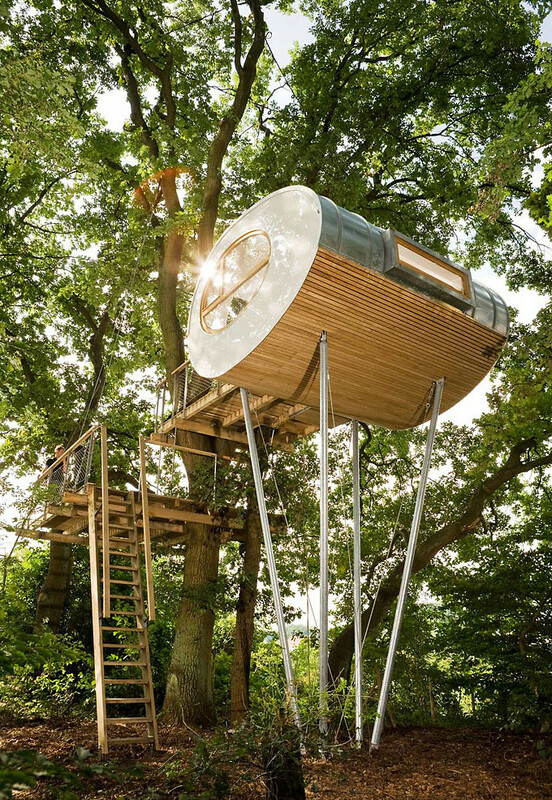 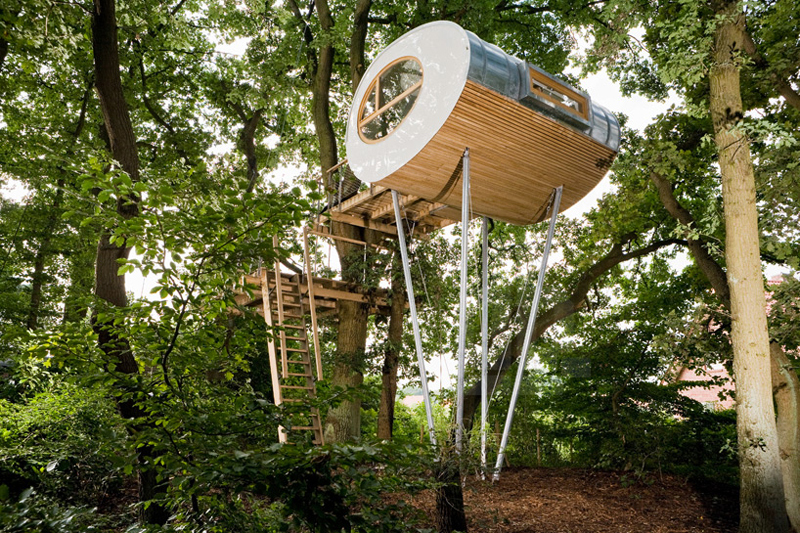 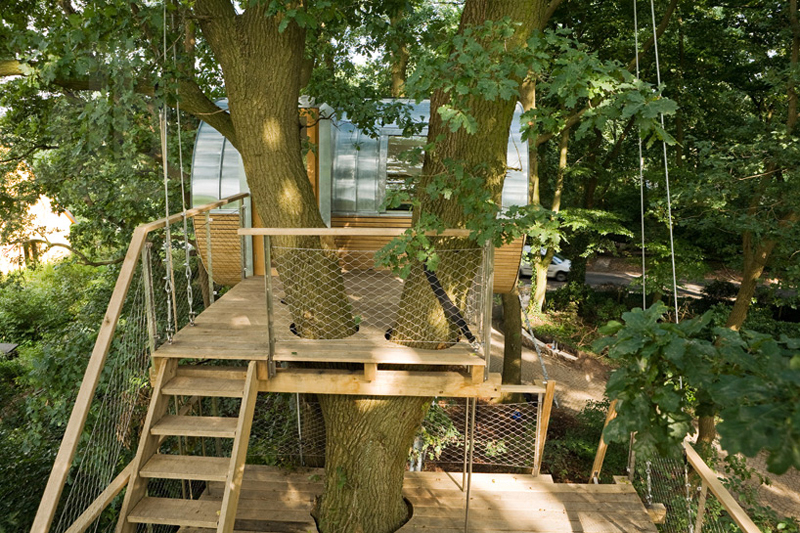 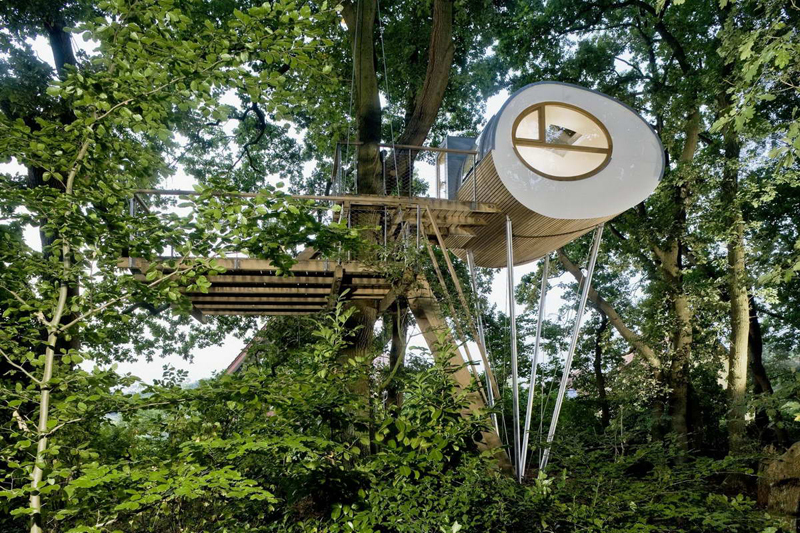 From below, the treehouse is accessed via two ship ladders, which are separated by a lower terrace at a height of 3.8 meters above the ground plane. 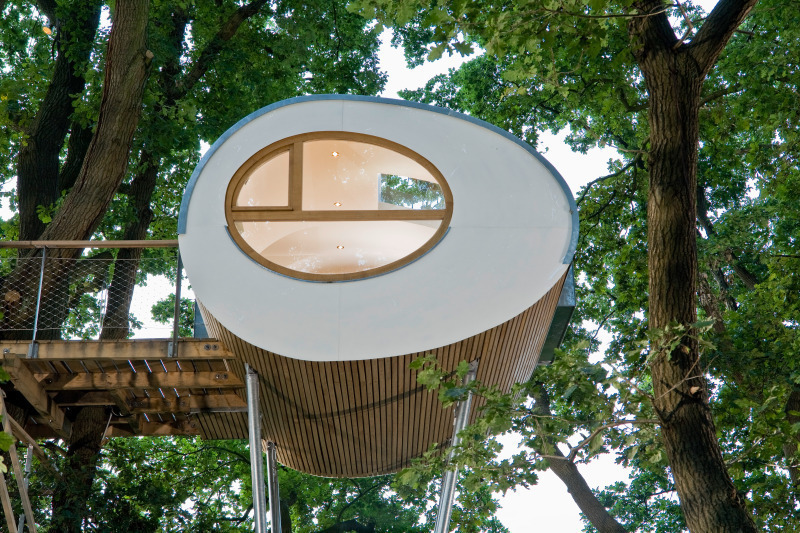 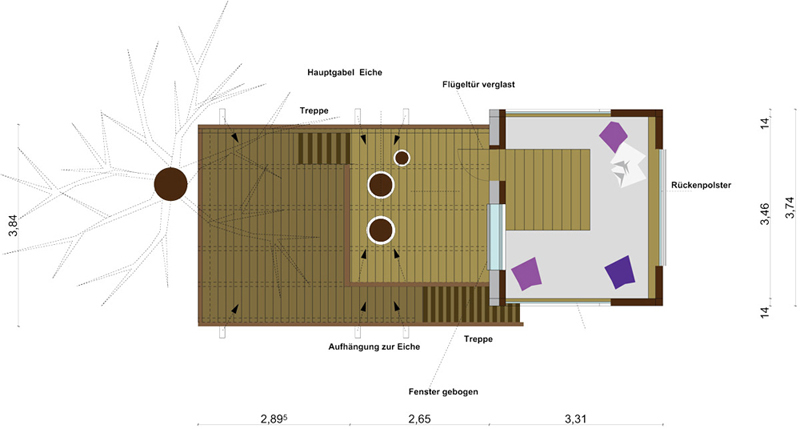 The second deck is located 5.6 meters in the air, and contains entry to the elevated pod. 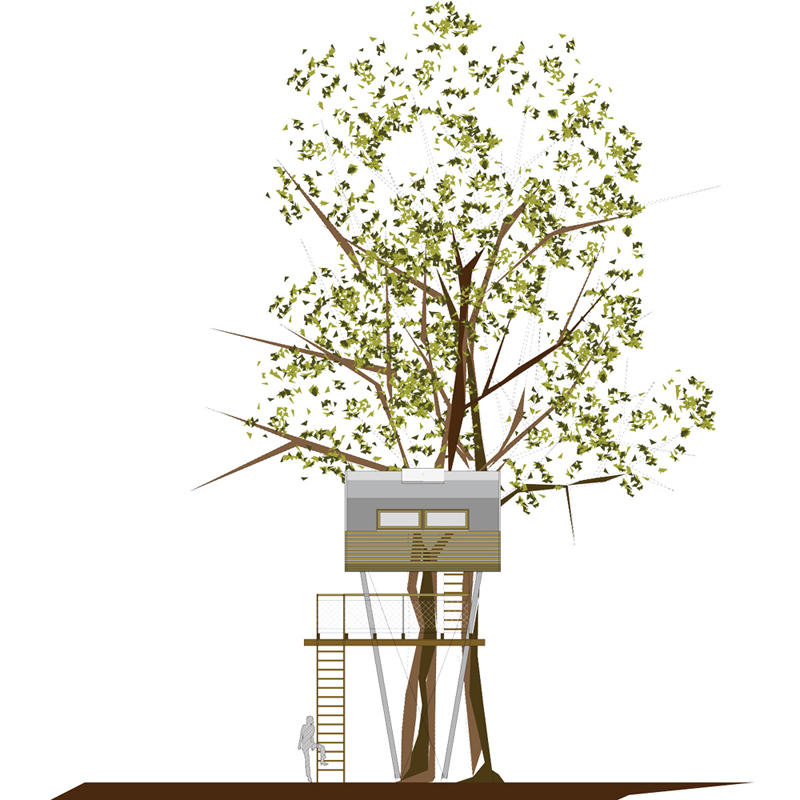 The small dwelling’s vertical load is carried by four inclined steel supports, while it is structurally stiffened through its connections to the trees. 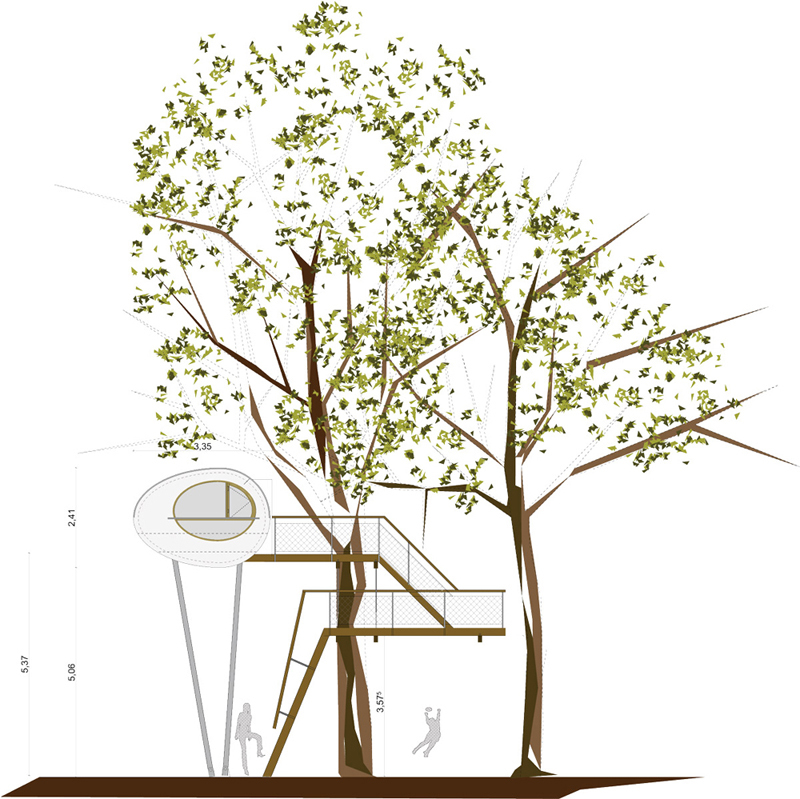 The two oaks also bear the weight of the two terraces, through a system of cables and textile straps. 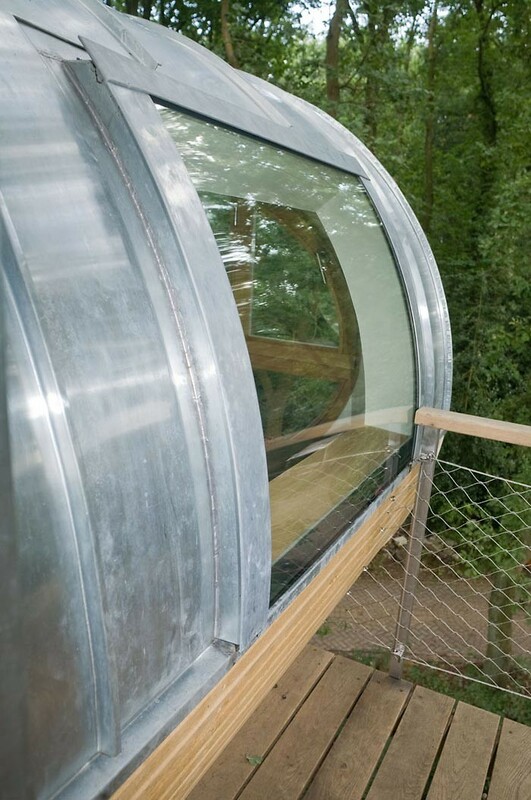 In contrast to the white ends of the egg-shaped pod, the volume’s underside as well as the terraces are made of wood, while the roof is clad in sheet zinc. 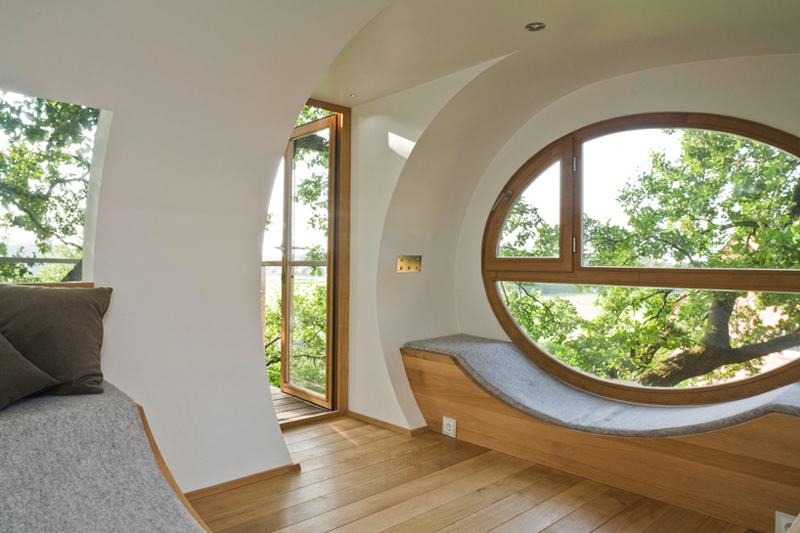 A curved window is integrated into the rounded front facade, providing an additional view outward.